There are other tidbits in the article as well. A strongly recommended read for persons interested in federal tax crimes. Consider this from Saltzman & Book, IRS Practice and Procedure (Thomson Reuters/Tax & Accounting, Rev. 2nd ed. 2002 & Supp. 2015-3). ¶ 12.03[c][vi] Other countries' taxes; revenue rule. As noted, some component of many crimes will use mail, wire, or commercial delivery services. This is true of cross-border crimes intended to include conduct in the United States that violates laws of other countries. Those laws of other countries may include tax laws. Can the mail and wire fraud statutes be deployed if the object of the crime was the violation of foreign tax law? Under the common-law revenue rule, one country will generally decline to enforce another country's tax law. The notion is that taxes are so intertwined with the sovereignty of the country that another country should not be involved in the enforcement of the other country's tax laws. In Pasquantino v. United States, n349 the Court held in a rather summary majority opinion (J. Thomas) that use of U.S. mail or wire communications to evade Canada's taxes was within the literal terms of the wire fraud statute. For present purposes, Justice Thomas's summary application of the wire fraud statute in Pasquantino should illustrate how pervasive the statute can be in its potential application. As the world increasingly becomes a global village in which nations cooperate regarding tax matters, one can expect such cases to continue. n 349 Pasquantino v. United States, 544 US 349 (2004), reh'g denied, 544 US 1012 (2005) [Casetext version here]. Petitioners carried out a scheme to smuggle large quantities of liquor into Canada from the United States to evade Canada's heavy alcohol import taxes. They were convicted of violating the federal wire fraud statute, 18 U. S. C. § 1343, for doing so. That statute prohibits the use of inter-state wires to effect "any scheme or artifice to defraud, or for obtaining money or property by means of false or fraudulent pretenses." The Fourth Circuit affirmed their convictions, rejecting petitioners' argument that their prosecution contravened the common-law revenue rule, which bars courts from enforcing foreign sovereigns' tax laws. The Fourth Circuit also held that Canada's right to receive tax revenue was "money or property" within § 1343's meaning. Held: A plot to defraud a foreign government of tax revenue violates the federal wire fraud statute. Pp. 355-372. (a) Section 1343's plain terms criminalize a scheme such as petitioners'. Their smuggling operation satisfies both of the § 1343 elements that are in dispute here. First, Canada's right to uncollected excise taxes on the liquor petitioners imported into Canada is "property" within the statute's meaning. That right is an entitlement to collect money from petitioners, the possession of which is "something of value" to the Canadian Government. McNally v. United States, 483 U. S. 350, 358. Such valuable entitlements are "property" as that term ordinarily is employed. Second, petitioners' plot was a "scheme or artifice to defraud" Canada of its valuable entitlement to tax revenue, because petitioners routinely concealed imported liquor from Canadian officials and failed to declare those goods on customs forms. See Durland v. United States, 161 U. S. 306, 313. Pp. 355-359. (b) The foregoing construction of § 1343 does not derogate from the common-law revenue rule. Pp. 359-372. (1) Relying on the canon of construction that "`[s]tatutes which invade the common law . . . are to be read with a presumption favoring the retention of long-established and familiar principles, except when a statutory purpose to the contrary is evident,'" United States v. Texas, 507 U. S. 529, 534, petitioners argue that, to avoid reading § 1343 to derogate from the revenue rule, the Court should construe the otherwise-applicable statutory language to except frauds directed at *350 evading foreign taxes. Whether § 1343 derogates from the revenue rule depends on whether reading the statute to reach this prosecution conflicts with a well-established revenue rule principle. See United States v. Craft, 535 U. S. 274, 276. Thus, before concluding that Congress intended to exempt the present prosecution from § 1343's broad reach, the Court must find that the revenue rule clearly barred such a prosecution as of 1952, the year Congress enacted the wire fraud statute. See Neder v. United States, 527 U. S. 1, 22-23. Pp. 359-360. (2) No common-law case decided as of 1952 clearly established that the revenue rule barred the United States from prosecuting a fraudulent scheme to evade foreign taxes. Pp. 360-368. (i) The revenue rule has long been treated as a corollary of the rule that "[t]he Courts of no country execute the penal laws of another." The Antelope, 10 Wheat. 66, 123. It was first treated as such in cases prohibiting the enforcement of tax liabilities of one sovereign in the courts of another sovereign, such as suits to enforce tax judgments. The revenue rule's grounding in these cases shows that, at its core, it prohibited the collection of tax obligations of foreign nations. The present prosecution is unlike these classic examples of actions traditionally barred by the revenue rule. 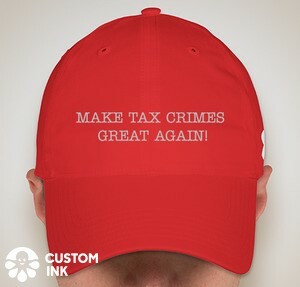 It is not a suit that recovers a foreign tax liability, but is a criminal prosecution brought by the United States to punish domestic criminal conduct. Pp. 360-362. (ii) Cases applying the revenue rule to bar indirect enforcement of foreign revenue laws, in contrast to the direct collection of a tax obligation, cannot bear the weight petitioners place on them. Many of them were decided after Congress passed the wire fraud statute. Others come from foreign courts. And, significantly, none involved a domestic sovereign acting pursuant to authority conferred by a criminal statute to enforce the sovereign's own penal law. Moreover, none of petitioners' cases barred an action that had as its primary object the deterrence and punishment of fraudulent conduct — a substantial domestic regulatory interest entirely independent of foreign tax enforcement. The main object of the action in each of them was the collection of money that would pay foreign tax claims. The absence of such an object here means that the link between this prosecution and foreign tax collection is incidental and attenuated at best. Thus, it cannot be said whether Congress in 1952 would have considered this prosecution within the revenue rule. Petitioners answer unpersuasively that the recovery of taxes is indeed the object of this suit because restitution of Canada's lost tax revenue is required under the federal Mandatory Victims Restitution Act of 1996. Whether restitution is mandatory is irrelevant here because § 1343 advances the Government's independent interest in punishing fraudulent domestic criminal conduct. In any *351 event, if awarding restitution to foreign sovereigns were contrary to the revenue rule, the proper resolution would be to construe the later enacted restitution statute not to allow such awards, rather than to assume that it impliedly repealed § 1343 as applied to this prosecution. Pp. 362-365. (iii) Also unavailing is petitioners' argument that early English common-law cases holding unenforceable contracts executed to evade other nations' revenue laws demonstrate that "indirect" enforcement of such laws is at the very core of the revenue rule, rather than at its margins. Those early cases were driven by an interest in lessening the commercial disruption caused by high tariffs. By the mid-20th century, however, that rationale was supplanted, and courts began to apply the revenue rule to tax obligations on the strength of the analogy between a country's revenue laws and its penal ones. Because the early English cases rested on a far different foundation from that on which the revenue rule came to rest, they say little about whether the wire fraud statute derogated from the revenue rule in its mid-20th-century form. Pp. 365-366. (iv) Petitioners' criminal prosecution "enforces" Canadian revenue law in an attenuated sense, but not in a sense that clearly would contravene the revenue rule. That rule never proscribed all enforcement of foreign revenue law. For example, at the same time they were enforcing domestic contracts that had the purpose of violating foreign revenue law, English courts also considered void foreign contracts that lacked tax stamps required under foreign revenue law. The line the revenue rule draws between impermissible and permissible "enforcement" of foreign revenue law has therefore always been unclear. The uncertainty persisted in American cases, which demonstrate that the extent to which the revenue rule barred indirect recognition of foreign revenue laws was unsettled as of 1952. Pp. 366-368. (3) The traditional rationales for the revenue rule do not plainly suggest that it barred this prosecution. First, this prosecution poses little risk of causing the principal evil against which the revenue rule was traditionally thought to guard: judicial evaluation of the revenue policies of foreign sovereigns. This action was brought by the Executive, "the sole organ of the federal government in the field of international relations," United States v. Curtiss-Wright Export Corp., 299 U. S. 304, 320. Although a prosecution like this one requires a court to recognize foreign law to determine whether the defendant violated U. S. law, it may be assumed that by electing to prosecute, the Executive has assessed this prosecution's impact on this Nation's relationship with Canada, and concluded that it poses little danger of causing international friction. Petitioners' broader argument that the revenue rule avoids *352 giving domestic effect to politically sensitive and controversial policy decisions embodied in foreign revenue laws worries the Court little. The present prosecution, if authorized by the wire fraud statute, embodies the policy choice of the two political branches of Government — Congress and the Executive — to free the interstate wires from fraudulent use, irrespective of the object of the fraud. Such a reading of § 1343 gives effect to that considered policy choice and therefore poses no risk of advancing Canadian policies illegitimately. Finally, petitioners' assertion that courts lack the competence to examine the validity of unfamiliar foreign tax schemes is not persuasive here. Foreign law posed no unmanageable complexity in this case, and Federal Rule of Criminal Procedure 26.1 gives federal courts sufficient means to resolve any incidental foreign law issues that may arise in wire fraud prosecutions. Pp. 368-370. (4) The Court's interpretation does not give § 1343 extraterritorial effect. Petitioners' offense was complete the moment they executed their scheme intending to defraud Canada of tax revenue inside the United States. See Durland, 161 U. S., at 313. Therefore, only domestic conduct is at issue here. In any event, because § 1343 punishes frauds executed "in interstate or foreign commerce," it is not a statute that involves only domestic concerns. Pp. 371-372. 336 F. 3d 321, affirmed. This is incorrect. It is not the Swiss branch of Rothschild AG that set-up shop in the US. Rothschild & Co. Ltd is based in the UK and the Swiss have nothing to do with this venture.